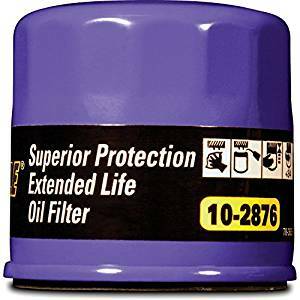 If you really want to be safe from paying loads of bucks on engine repairing in future, you must use the best oil filter. As a matter of the fact your car requires the best oil filters as well as it required to be changed frequently. Engine oils are essential factor of any engine and it is important to lubricate your valve, gears and piston. It helps to cool your engine, absorbs solid deposits and contaminants as well as it seals the gaps. Only the best oil filters can remove these solid deposits and contaminants from oil and prevent them from further circulation within systems. 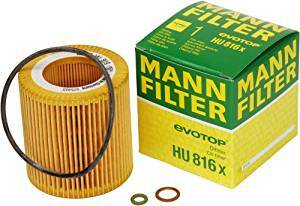 Without an appropriate oil filter, all these deposits and contaminants would easily wear down the engine. Generally, you must change your oil filters each time you change engine oil. 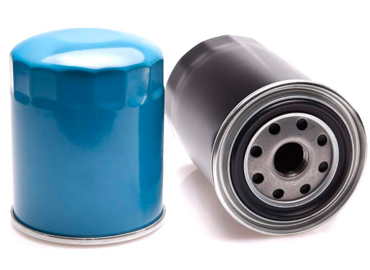 Different kinds of oil filters are available to suit the way you drive car and different change intervals. There are high performances filters, standard filters, synthetic filters as well as racing filters. Keep in your mind that not all the oil filters are similar. For instance standard filters can last for usual oil change period or after about every 10,000 miles. In contrast with a high performance filter you can enjoy longer oil change i.e. after around 15,000 miles. 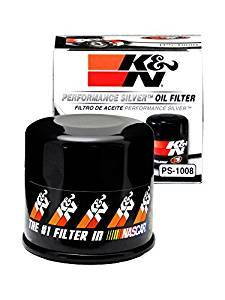 Engines of racing cares needs different oil which is generally lighter with different grade (0-Grade), therefore racing filters also need the adjustment to accommodate such problems. Last but not the least, it is suggested to use special types of oil filter while you use synthetic oil. This isn’t a necessity however it improves the performance of the engine. Despite type of oil filter, best quality filter will offer better protection from the undesirable deposits entering the engine of your car. 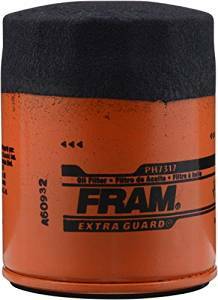 Fram Extra Guard is best for those who need standard oil filter and if you are ready to change the oil often. It is designed by synthetic glass as well as cellulose and it gives protection till 5,000 miles and 95 percent efficiency rating for dirt trapping. 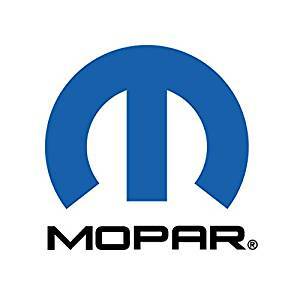 It must be used with conventional fuel or gasoline and Fram is powerful enough to deal the regular oil pressure. As it has a definite grip bottom, installing and removing this oil filter is also very easy and simple. It is actually suitable for individuals who really take care of their vehicles and change oil more often. As it is only fine for 5000 miles you must be careful to change it often, however its tradeoff is the superior protection and excellent dirt trapping. It is suitable with most of the car brands however be careful to check if it suits with your vehicle or not. Its ease of installation and removal is another plus point. It can be removed by unscrewing and there isn’t any need to use any filter wrench. We believe that the price of Fram Extra Guard is quite fair and it is great for low mileage vehicles and if you convert your oil more frequently. For high mileage vehicles look for something else, because these cars tends to build up much more contaminants and solid deposits and therefore only a high quality tough high mileage filter is appropriate for them. All in all, Fram Extra Guard is one of the best oil filters for low mileage car and frequent oil change. 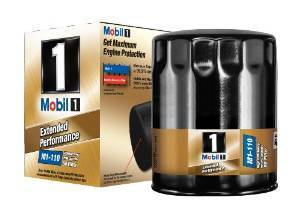 For those who need long lasting oil filters that comes with long change periods, Mobil Extended Performance is the best. At only 28 g this Mobil Extended Performance Oil Filter holds about double capacity of those standard oil filters. The extra capacity, allow you to change your oil and oil filter after 10,000 miles. It has a unique blend of synthetic fiber that helps achieve a massive 99.6 percent efficiency rating to trap 99.6 percent of entire solid deposits and contaminants passes by. It is built to resist tons of pressure i.e. around 615 Pascal/square inch. Because of its silicon anti-drain back value, it also prevents the dry starts. In addition, it can be suitable with all types of motor oil. Although this one is slightly pricier, we believe it stands for price with the stellar performance. After extensive tests for taking it out for 15,000 miles we found very little to no problems. Its extra filter capacity is really a life saver for those who are really lazy or don’t have time to change oil and oil filter frequently. 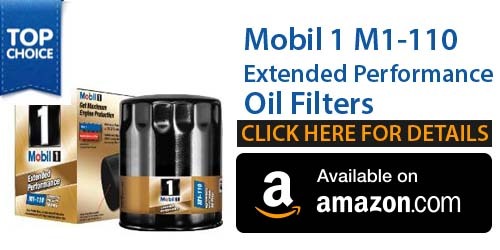 Therefore the Mobil Extended Performance Oil Filter is best for those who aren’t interested to change their oil frequently and still need a higher performance. 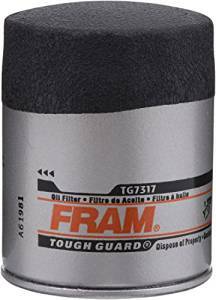 If you are looking for a synthetic oil filters with maximum performance, Fram Tough Guard oil filter is best oil filter. It is designed to last for around 10,000 miles. It is largely used for fully to semi synthetic oils. While it can work with conventional oils, it is really recommended to only use with synthetic oil. 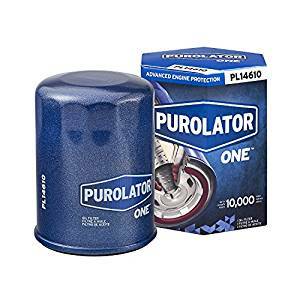 The silicon anti drain back value in this oil filter helps prolong its life as well as gives you a 99 percent efficiency rating i.e. it clears 99 percent of your oil junk. Because of its sure grips you can easily remove or install it. It has around 9 percent more synthetic fibers as compared to its counterpart. This means it is capable to trap extra dirt. Fram is a popular most trustable brand name in auto parts industry. After testing it on various car models and comparing it with other synthetic filters we found that Fram can perform really well and last the longest. It never failed and really performed well for removing dirt and debris from the engine oil. It is really good for the value because it is fairly priced. All in all Fram TG7317 Tough Guard Passenger Car Spin-On Oil Filter it is best oil filter for those who want to use it for synthetic oil. When you believe that a good brand is one which cover a wide range of automotive industry, Bosch is your brand. Only thing that doesn’t comes under its name is automotive oil. But that isn’t a matter. 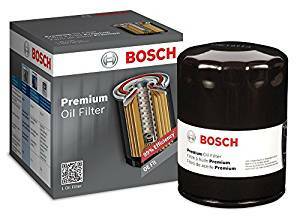 Bosch filters are compatible with most engine oil brands. It contains a premium quality FILTECH media screen to capture extraordinarily high amount of particles. Made from aluminum along with steel base plate it is much capable to prevent leaks and bents that occur at high temperatures inside the engine. Usually when your engine is running really hard. Just like other brands Bosch offers silicone anti-drained back valve that ensures fresh oil supply at times when vehicle is started (avoid dry starts). This product has good user rating (average of 4.6 as mentioned in 100 plus reviews and ratings. As Big As they are, ACDelco can be considered for solid build automotive accessories. This engine oil filter can process and filter oil for up to 98 percent of contaminants. It provide an efficiency of 25 to 30 microns, multilayer filtering net allow the best filtering. Unlike its counterparts, thermosetting adhesive seal is located on base of the filter, which makes and even extra tight seal particularly at higher temperature. 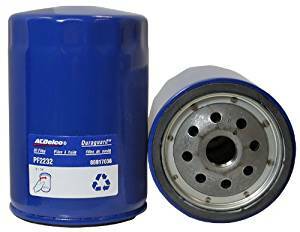 With an aluminum shell, this oil filter gives higher bust threshold until usual operating temperature doesn’t exceed 50 PSI. All in all this is not the best option in the market, however for just 9 dollars, it is not that bad at all. Fortunately it is compatible with almost 97 percent of the cars out there, including light duty trucks and SUVs that are locally assembled or imported.